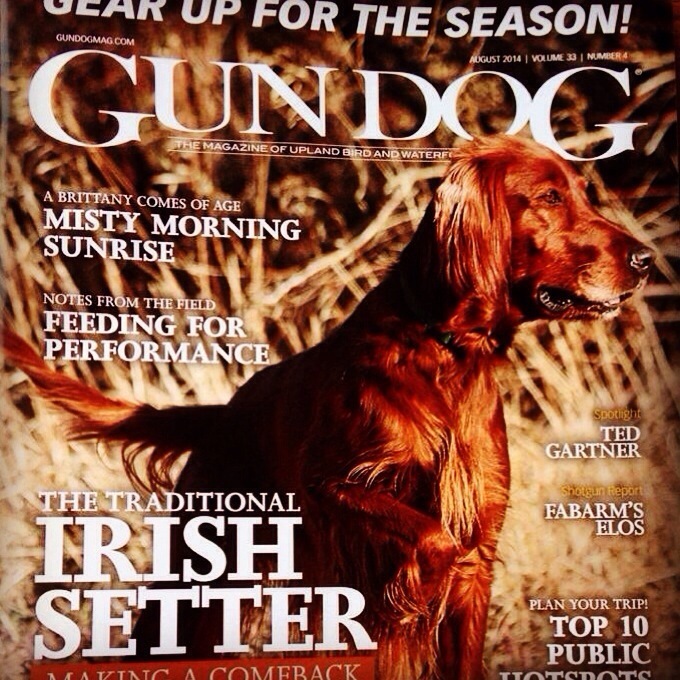 This morning I found out that my article, “Misty Morning Sunrise” is featured in the August issue of Gun Dog Magazine. I submitted this article over two years ago and thought they had forgotten. So I am both surprised and stoked. What a great honor to be published in this great magazine! Attaboy Andy! I am so proud of you, pal. You’ve come a long way and there is no limit. God has blessed you with grit, intelligence and a feel for the uplands and the trout sreams. Carry on! Wow! What an honor! Congratulations. Congratulations, I’ll look for it. In the past, I’ve had a couple of things published in the DGJ and Shooting Sportsman. Nick, that’s pretty cool about your experience with publishing in Double Gun and Shooting Sportsman. I’d love to read some of your stuff. That type of delay sure makes it tough for a person to think about making a living writing. Guess I’ll have to stick with my day job. I am Leif Wallin by the way.